The reviews I read about Tullian Tchividjian’s One Way Love were so enthusiastic that I immediately shelved out the £7.99 for the Kindle version, stopped reading the latest Keller book and jumped in, looking forward to a stimulating and encouraging account of Gods grace in my exhausted world. After all when The Gospel Coalition website carries several articles on the book, and when people as diverse as Billy Graham, Eric Metaxas, Sally Lloyd-Jones, Lee Strobel, Paul Tripp, Dr Iain Duguid, Max Lucardo, Sheila Walsh and Rick Warren so wholeheartedly endorse this book as life changing and like drinking from a fire hydrant, expectations are well and truly raised. Were they met? I loved the sub-title. I don’t know Tullian, but what I have read of him, and by him, is excellent. There is much to encourage. In ten short chapters he brings a mix of biblical exegesis, personal stories, good quotes and relevant cultural examples to magnify and tell the wondrous story of Gods grace in Christ. He points out the errors of performancism, warns of the dangers of spiritual burn out, and suggests that the church in the 21st Century needs another Reformation as radical as the 15th Century one. He discusses the differences between justification and sanctification, and between law and grace, in a helpful way. And yet…when I finished it last night I could only give it three stars and to be honest was even reluctant to do that. I guess ultimately I was disappointed. Why? Writing this review has actually been really difficult for lots of reasons – I am a bit of a coward and so many people who I admire and respect are raving about this book that I don’t want to upset any of them if they read it; I don’t want it to be used by the very legalists Tullian rightly warns about and, knowing what it is like to write a book, I feel for any author whose book is not loved by everyone! I don’t know Tullian; other than by his excellent reputation (which I have no reason to doubt), so I hope that no one will see this as personal. Grace-Lit – My problem is not with him, but with what I call the current trend for Grace-Lit that is coming almost entirely out of American evangelicalism. For some reason as I reflected on this particular genre of Christian literature the Monty Python sketch, Four Yorkshiremen, came to mind! (You can see the full sketch here – http://www.youtube.com/watch?v=Xe1a1wHxTyo) The men are sitting reminiscing about how tough they had life. “We used to live in a tiny house.” “You were lucky we used to live in a room”, “you were lucky to have a room we used to live in a corridor”, “luxury, we used to live in a hole in the middle of the road”….etc ending up with, “we lived for three months in a rolled up in a newspaper in a sceptic tank!” The current trend for Grace-Lit seems to operate that way – each new book on grace promises to be the most life-changing, radical book which will lead to a new Reformation if only we grasp its insights. Each one offers ever more extreme examples of how radical grace is. This one tells us that the Gospel is two hundred proof grace which drives men blind staggeringly drunk. I just wonder what image in the next grace-lit book will use to show us how shocking, disturbing, radical, uncomfortable grace is. Here is my dreadful confession. I have read so much of this stuff that I am bored and tired of grace. No, that’s wrong. How can I get tired or bored of grace? In reality I am tired and bored with books about grace. That’s what happened with this book – by the time I got to the third chapter I was bored, with only the occasional quote or personal story keeping my attention. Talk about grace has become so commonplace that it no longer seems amazing –even, or especially, when people keep telling how amazing the latest insight into amazing grace is. It’s a bit like the word ‘awesome’, which is now no longer ‘awesome’. Maybe I am just getting old and weary in well doing?! I have reached a stage in life where I am as suspicious of Christians who keep going on about how they used to be legalists but now they are living in grace, as I am of those who want to give me their latest revelation about Christian Zionism (or anti-Zionism) as the key to the kingdom! Please don’t misunderstand me. I am not saying this about Tullian. He has walked the well-trodden path of rebellion against a Christian upbringing, followed by conversion and a zeal that flirted with legalism, to a deeper understanding of the freedom that comes through the grace of Christ. It is wonderful and helpful to read about it. I think I have just become tired of the whole grace-lit genre. And I am tired of meeting people who talk so much about grace and yet seem to exhibit so little of it in their own lifes. People who think that Gods grace gives them freedom from religion, freedom to love themselves and freedom to just keep getting things wrong (which is kind of true) and yet who can’t seem to grant that freedom to anyone else. They are incredibly sensitive, get easily hurt and are all to ready to complain about the lack of grace in others. Grace Talk – I have noticed how some who talk a lot about the grace of God, and ‘living in grace’ are the first to ignore or even despise the means of grace. Like the man who declared “when I get up in the morning, I can’t be bothered speaking to God. I know he is a gracious Father so I just say to him, ‘I’m too tired to speak to you today’ and I know my heavenly dad understands”. Or the increasing tendency in the UK (something which I think is largely imported from the US) to think that going to church once on the Lord’s Day is more than enough and any encouragement to spend more time with the Lord’s people in public worship and listening to His Word, is somehow a form of legalism. Is it any surprise that when people neglect the means of grace, they find that when real trouble comes their way their trust in ‘super abundant fire hydrant’ grace seems to evaporate very quickly? Grace -Full? The above is written more about the whole grace-lit genre in general rather than this book in particular – which is probably the best of the ones I have read. But I think that Tullian has so bought into this that he has allowed some obvious errors to creep in. For example he writes, “It amazes me that you will hear great concern from inside the church about too much grace, but rarely will you ever hear about too many rules.” Really? Tullian must move in very different circles to the ones I move in – and I am in the Free Church! Is it really any different in the PCA? I constantly hear the opposite – about how there are far too many rules and I rarely hear anyone complain about too much grace – that would be the great heresy in today’s Christian circles! I speak at conferences, listen to lots of sermons and podcasts from both sides of the Pond, and have yet to hear people complaining about too much grace – in fact this review would be the first I have read which might suggest that! I accept that in the world of Southern US fundamentalism (as in the caricatured version of Scottish Calvinist legalism – which like all caricatures has an element of truth), there are doubtless those who live by the law and don’t quite get grace, but is that the world most of the readers of this book inhabit? Maybe it is, but maybe it has just become the accepted norm to repeat that there are lots of people out there drowning in legalism endorsed by the church and that there is too little teaching about grace. Maybe its just been repeated so much that people accept that it must be true and any book about grace is therefore a necessary corrective of this problem. “Grace is love that has nothing to do with you, the beloved. It has everything and only to do with the lover.” Try as I might I just don’t get that. Of course Gods love for me has something to do with me! Of course Gods love for me is not only to do with him. The Son of God loved me and gave himself for me! I know I don’t deserve it, but there is no need to mangle the English language and render it meaningless. Whilst such sound bites might sound as though they magnify grace, I think they are superficial, trite and ultimately undermine the whole teaching about grace. Grace -Complaints? “Grace doesn’t make demands. It just gives. And from our vantage point it always gives to the wrong person.” Again this does not really make sense to me. Is not take up your cross and follow me a demand? Go sell all that you have and give to the poor, is that not a demand? If you love me you will keep my commands? And is it always the case that grace gives to the wrong person? I honestly don’t think that God giving grace to so many of the people in St Peters is giving to the wrong person; except insofar as I am an old fashioned Scottish Calvinist who believes in total depravity and that no-one is the ‘right’ person for grace. That’s kind of the point. There is none righteous, no not one. If I believe that, why would I ever look and say “Lord, you are giving grace to the wrong person”?! Graceless Religion? “Religion consists of all the things (believing, behaving, worshipping, sacrificing) the human race has ever thought it had to do to get right with God…..Everything religion tried to do (and failed) to do has been perfectly done, once and for all, by Jesus in his death and resurrection. For Christians, therefore, the entire religion shop has been closed, boarded up and forgotten. The church is not in the religion business”. (Robert Capon). Again I struggle with this scripturally. I sympathise with the desire to be free of the religion tag. I understand that in the bible false religion (legalism, idolatry and liberalism) are perceived as, as great, if not greater, dangers than atheism. And I can see the attraction and truth of the neat wee formula, Christ comes to save us from religion, indeed I have used it myself. And yet the statement is biblical nonsense – “Religion that God our Father accepts as pure and faultless is this: to look after orphans and widows in their distress and to keep oneself from being polluted by the world” (James 1:27). We need to be saved from worthless religion. But there is a pure and faultless religion that we are saved for. I am not prepared to remove that verse from the Bible, nor to explain it away. Sometimes I fear we are trying to be too smart for our own good. We need to learn to take the bible as it is, with all its complexities and apparent contradictions and not reduce everything to a formula or a one-line mantra, which seems to suit the current zeitgeist of our culture. Two-Way Love – Which brings me to the title of the book, One Way Love. It just ain’t so. God loves us – but he does so in order that there may be two-way love. We don’t earn Gods love, but we surely must reciprocate it. Are we not to love the Lord our God, with all our heart and soul and mind? Sure he first loved us, but precisely because he did, we love him. It is not one way. It is very much two way. It’s a neat phrase designed to teach the wonderful truth that we did not initiate nor can we ever earn the love of God, but it is just simply not the truth that Gods love is one-way love. In fact if you don’t love God, you should not sit at the Lords table and there is no way you are going to heaven to be with the One you do not love. By definition the love of God is two way. Let me go further – it is not even the case that Gods love is unconditional whereas ours is conditional. God’s love is unconditional. He does not love us because we please him or earn it. And our love for him should also be unconditional. But equally we don’t love God because he pleases us or he earns it! Our love for God is not cupboard love, it is love with our whole heart, soul and mind. We love him for what he is in himself, not because he gives us a new car, a passed exam, a healthy body or a nice church. We love God only in response to his love for us. I even wonder if that indeed is the whole purpose of the whole creation/fall/redemption narrative. Anyway before I wonder too deep into speculation let me bring this back to earth. Graceless Writing? Why even bother writing this? I really did not want to. Insofar as I am allowed to belong to any tribe, I belong to Tullians! It’s so much easier to go against the heretics and bampots in other tribes, but to write a critique of one of your own, is really hard. I would just have left it at a short Amazon review but I was persuaded that this was the right thing to do because of three things. Firstly – Balance. Grace lit folks don’t want balance….that is to them to demean grace. Grace is unbalanced, dangerous etc. But I think there is a biblical balance. Theology is the art of the precise. The devil is always seeking to knock us off balance, as CS Lewis so wonderfully describes in The Screwtape Letters. The conflict here is not, as it is often portrayed, between legalism and liberalism. The conflict is between grace and libertarianism. Christ has indeed set us free, but we are set free to serve, not free to sin. I think the hyperbolic language of the grace-lit is in danger of demeaning grace by making it meaningless, or making it mean something far less than it really does. In seeking to magnify grace, it is in danger of cheapening it. Secondly I am concerned about the commercialisation of the Gospel. The US Church has many strengths which we in the UK can learn from. But one of its greatest weaknesses is the way that almost everything gets turned into a product to be marketed and sold. I remember attending a meeting at the PCA General Assembly because I was really interested in the title ‘ Sonship’. I had benefited greatly from Jack Miller’s book of the same title and wondered what this sonship course was about. As I sat down at a table and began to read the material I was astonished to see that every time the word Sonship was used there was a © sign beside it. At first I thought it was a joke so I asked one of the leaders – have you copyrighted ‘sonship’? He said yes and was surprised at my surprise! You can’t copyright ‘sonship’! What’s next? Copyrighting adoption, grace etc.? It seems to me as though every now and then someone rediscovers a biblical doctrine and turns it into a programme/course/movement that then has to be marketed and sold. Are we going to sell grace?! Again I may be wrong but I fear that ‘grace’ is the latest fad. Look at the advertising blurb for One Way Love. “In this “manifesto,” Tchividjian calls the church back to the heart of the Christian faith—grace. It is time for us to abandon our play-it-safe religion, and to get drunk on grace. Two hundred-proof, unflinching grace. It’s shocking and scary, unnatural and undomesticated … but it is also the only thing that can set us free and light the church—and the world—on fire.” Personally I fear that the grace-lit books are actually very natural, play-it-safe and domesticated for the American evangelical market. As the evangelical church has to face up to its disastrous flirtation with politics, its abdication to the materialism of the culture and its inability to handle the new atheism/spirituality, then where better to retreat too, than a place of ‘grace’ where whatever you do is wonderful! Superficiality – Which brings me on to the third reason for writing. The tipping point for me was Steve Brown’s endorsement. On the surface it seems fair enough. He says he is tired of those who manipulate and manage in the name of Jesus. Amen to that. However it really stuck in my throat. Because I once was a minor speaker at a conference at which Steve Brown was the main speaker. It was a ‘millionaires’ conference, held in a luxury hotel, designed to encourage those who had considerable disposable income to dispose some of it, in generally very worthy missions projects. Steve was the star speaker and the main entertainment. I heard him only once and it really depressed and sickened me. To this day I regret my lack of courage and faithfulness in not standing up in public and challenging what he was saying. He was humorous and had some good biblical things to say. But it was the stage show, the manipulation, the management, and the irreverence that really got to me (and to my discerning wife, Annabel). I have no problem with humour but he was way beyond appropriate. At one point he declared that if he knew Jesus was coming back the next week he would go out and get drunk, because he had never been drunk. Everyone seemed to be laughing at this. I am not sure why. Was it because he was so ‘daring and radical’? Was it because he was showing what it was like to live in the free grace of God and all the audience wanted to show that they were no longer legalists either? Was it that I was just a dumb European who did not get American irony?! If this is where the ‘drunk on grace’ teaching leads us, then I don’t want to go there. It is trivial, superficial and makes a mockery both of God and humanity. It is self-absorbed and to my mind completely foreign to the mind of Christ. If I knew Jesus was coming back next week, I would be contacting as many people as I knew to tell them. Not getting drunk so that I could have one more experience of showing how ‘grace’ enables me to sin freely! True Religion? This morning I read the following in The Valley of Vision – “I adore thee and abase myself. I approach thee mindful that I am less than nothing, a creature worse than nothing…….Give me an increasing conviction of my tendency to err, and of my exposure to sin. Help me to feel more of the purifying, softening influence of religion, its compassion, love, pity, courtesy, and employ me as thy instrument in blessing others. Give me to distinguish between the mere form of godliness and its power, between live and a name to live, between guile and truth, between hypocrisy and a religion that will not bear thy eye. If I am not right, set me right, keep me right; And may I at last come to thy house in peace.” That seems to me a much deeper and more biblical view of ‘religion’. Tullian’s book is not a bad book, but it is not a balanced book and as such it is in danger of feeding the current fad, (or causing a legalistic reaction against it), rather than challenging and encouraging us to take up our cross and follow Christ. Thanks for this review. Another book I don’t need to read. I do enjoy ‘Christian books’ and don’t mean to sound pious, but some books just reinforce the need to study the Bible and grapple with its balance and wisdom. I’m really enjoying ‘Search the Scriptures’ ed Alan Stibbs which forces me to study the Bible myself. Thanks David for posting this review. We would do well to remember that grace leads to repentance. I’m glad you said this. I hear incessantly about “Jesus loves you,” “Make Jesus your personal Lord and Savior,” and “Invite Jesus into your heart,” but never “Repent and believe.” Never, “Go forth and sin no more.” No evidence of conversion and daily persistence to love lives holy and acceptable to God. Tullian always preaches both Law and Gospel, not just “grace, grace, grace”. A quick thought on living a life “acceptable” to a Holy God, if you think that is possible than you really have a low view of what God commands as a Holy life. We cannot do it, that is the reason we needed a savior. As Paul said, “If righteousness come by the law, then Christ is dead in vain.” — Gal. 2:21. Jeremy, Again what concerns me with your comment is the ignoring of Scripture. You say we cannot live a life acceptable to a Holy God, that we cannot live a holy life. Then you are writing off much of the Scripture – God calls us to be holy as he is holy, we are saved to be holy. For you just to declare that that is impossible and God is calling us to the impossible is to imply that Jesus died in vain. After all if he died to make us holy, if he tells us that we are to live lifes worthy of the Lord, and we cannot either be holy or live lifes worthy of the Lord, then his death was pointless. You are confusing justification and sanctification. I do think that it is possible to life a life acceptable to a Holy God, because we are justified and sanctified in Christ. We are ‘in Christ’. If you think that we cannot live a life acceptable to God, then you need to return to a Scriptural understanding of the cross – and of grace. To back up David’s last comment. This is a song I recently ran across and it is a great example of the post and his concerns. This is typical of the lack of Biblical knowledge and misapplication of truth that runs rampant through evangelicalism. Firstly can I say/agree that “make Jesus your personal saviour”, “invite Jesus into your heart” or “you need a personal relationship with Jesus” is simply not biblical. The Apostles only knew of “repent & believe|” [and let’s not forget that repent is primarily a mind-set thing (to ‘re-point’) not an act (to ‘do penance’)]. The gospel is an announcement or pronouncement, not an offer. You either believe it – because God has opened your eyes and given faith, or you don’t – because you are dead in sin. Secondly – what is a life that is ‘acceptable to God’? If we are hidden in Christ then we already ARE acceptable to God… done deal, fait accompli. What we are called to live is a life ‘worthy of our calling’ (as a witness – if the truth has hit us between the eyes we cannot live in denial) and ‘holy’ (set apart – not somehow ‘morally improved’). The problem is that a lot of talk on sanctification assumes we ‘get better’ as in ‘become more righteous’ as if somehow we then need less of God’s grace cover our sin! The reality is that we remain ‘simul peccator’ so that total depravity remains (there are no areas we can ever declare are now ‘sin free’) BUT we become more aware of the depths of our sin, hate it, and cling to the cross more. If we think we actually become better people in ourselves then we have reverted to the Roman idea of ‘infusion’ – we forget that both Christ’s passive and active obedience are credited to us – his life as well as his death is ours. We become more Christ-like when we focus less on ourselves and more on him and others. Sanctification is not about us getting better – its about us loving God more (the gift just gets better and better!) and showing his love more. We become more of a mirror reflecting Christ, not more of an intrinsically good person. The fruit of the Spirit should be.. love, joy, peace. Tullian gets that. The UK reformed church does not (I’ve had many. many years of being taught to constantly check whether I am a real christian or not based on what behaviour I may/may not be exhibiting at any given time – i.e. not much assurance, plenty of guilt & doubt). I’m also concerned about the commercialization of the bible and biblical doctrine. The plethora of new bible versions (which are copyrighted and require permission to quote at any length) and study bibles aimed at niche groups (I’m currently looking out for the “The Slightly Overweight Middle-Class Englishman’s Study Bible”) is hard to justify I think. I agree with Doug Wilson, who has called for a bible translation that is free from copyright and owned by the Church rather than owned by corporations. If things don’t change, I propose we all go back to the KJV in 2039, when the Royal printing rights expire! Piper has said that we don’t need more information but we need more transformation. I’m not sure if publishing thousands of “new” (nothing new under the sun?) 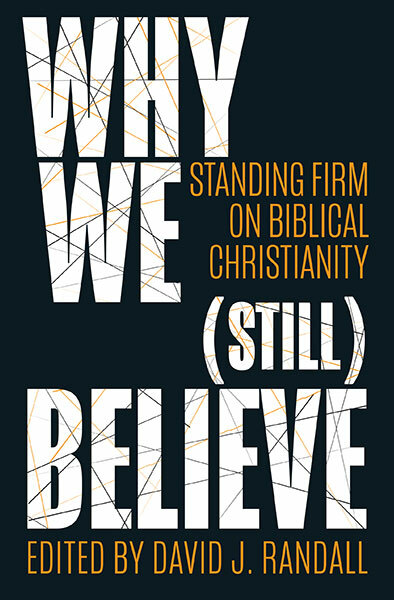 Christian books every single year has had any significant role in the transformation we desperately need, despite what the blurb may say on the back covers. The KJV is copyright-free in the United States, by the way. Here there is an automatic time limit of 99 years on all copyrights. I avoid books like this and in sympathy with Hobbes above, I think too many Christians are writing books. The market is saturated. I agree. All the best Christian books were written years ago. David: I so appreciate this review, both for your fair treatment of Tullian’s book, but also for calling those of us who emphasize “grace as motivation for holiness” to balance both sides of that statement: grace and holiness, indicative and imperative. Thankful for your continued ministry. Thank you for your review of yet another “grace book.” I would like to suggest that the plethora of grace books reflects the prevalence of unbalanced “grace preaching” happening in evangelical churches. This critique is serving sour grapes. I think the writer is a bit confused about law and gospel, bad and true religion, he seems to not be amazed by grace and is bored with it, he has no sense of humor, and he has forgotten that we love because God first loved us. I suspect he would have given John Newton a bad review after penning “Amazing Grace” for not being balanced. He obviously hasn’t paid adequate attention to other things said and written by Tullian types about our response to grace. He talks as if the message of grace has permeated the billions on this planet and it’s old news and a fad. I think he would do well as a political spinmeister. May millions more write about GRACE. Patrick – thanks for your reply. I seriously question whether you have actually read the article. For example I specifically mention that we love God because he first loved us. I have never in my life been accused of a lack of sense of humour (why did you make this accusation? Was Tullians book full of jokes I missed?!). And John Newton’s Amazing Grace was wonderfully balanced! Can I suggest you read the article again and perhaps next time think about what it is saying. If there are things wrong with it, then please feel free to point them out – not just in general terms but please give specific examples. You are however right in one thing – I don’t particularly want millions to write about grace – I prefer them to exhibit it, and to extoll Christ, who is of course the source of all grace, as Tullian would agree. To my mind the (Lutheran) law/gospel definition/paradigm (all demand is law and all supply is grace) is the source of the problem. This theological construct is neat and simple, but (in my view) not biblical. Law, in Scripture, is a redemptive-historical category (a covenant through which God engages with his people at a point in redemptive history). It is not simply a synonym for any biblical demand. John, except the law gospel hermeneutic is thoroughly used by Reformed Protestants. Why diss Lutherans like that? Why not Paul too? The (new) lutheran view (that taught by TT and others) is not a Reformed view. The more common Reformed view sees the law for a believer as a rule of life. For many it is a gracious covenant. TT sees the law as always a demand that kills. Personally, I view neither the lutheran nor the (classic) Reformed view re law as correct. The first task is to define Paul’s normal meaning of ‘law’ especially in these passages where it sits opposed to gospel. I believe he refers to the Mosaic Covenant specifically and I believe he sees this as a covenant of works (this do and live); that is, it is a covenant that promised life upon obedience. It did not assume life, rather the opposite, it offered life to those who kept it. By extension it is probably fair to count as ‘law’ in this Pauline sense any effort of works-righteousness, though Paul’s specific focus is the Mosaic Covenant. TT’s mistake is to assume that every demand/command/exhortation falls into the category of law. It does not. Many commands in OT and NT do not carry covenantal blessings or curses upon obedience. Further, the demands made upon a believer, new covenant demands, start from a position of life present – we are to love because we are born of God and those who are born of God love. These demands do not ‘kill’ for a) there is no covenantal curse pronounced as at Sinai b) they are not addressed to man in the flesh but humanity in the Spirit, life is not predicated upon obedience but obedience is predicated upon life c) the grace of God enables what the same grace demands. More could be said, but it is over-simplistic to simply see law/gospel as demand/supply when pushed in the way that TT and others do. Agreed. And thank you for your gracious spirit. I first wrote the article below in 2010, I believe. Your concerns are not brand new, but they are well put and very much needed. And don’t forget that DeYoung’s Hole in Our Holiness addresses these concerns winsomely and with admirable theological care. A hearty Amen! I’ve not read this particular book, so it might be that these criticisms don’t apply to it, but I think I know the genre in question. Working with students in London for the last few years I’m amazed at the numbers we’re seeing these days who are positively afraid to really push for godliness because they don’t want to become legalistic. Not all of these students have been lazy or apathetic in a typical antinomian sort of way; some of them have genuinely desired to grow, but seem almost to fear that the effort of growing might be more spiritually damaging than staying where there are. I’m sure that’s not the effect that Tullian and others like him are trying to produce; quite the opposite! But I do think it’s a symptom of the full message of the gospel not getting through and a change of tack being needed. One other effect is brought to mind by the subtitle. I think personally I find some of these sorts of books exhausting rather than boring. It’s really good to use the full weight of our rhetorical hand to press home how wonderful grace is, but I think sometimes the radically-changed-life,-like-drinking-from-a-fire-hydrant creates such overblown expectations about what the Christian life is supposed to be like that they end up crushing as much as encouraging. For years I thought I’d not really understood the gospel – maybe was still trusting in my own righteousness – because I didn’t experience the sort of constant doubt-and-struggle-free euphoria these sorts of books lead me to expect of the normal Christian life. It may be that, again quite contrary to the intentions of the authors, such heightened rhetoric throws fuel on the fire for a church already steeped in triumphalism (to mix my metaphors a bit). Your observation about Steve Brown is prescient. It seems that themes of Robert Farrar Capon, Brown, Torrance and Barth are being re-expressed for new generations. I find that there are glimpses and insights which are helpful, but the whole leaves me somewhat short of being somewhere satisfying. Having gotten this far I look forward to seeing how this movement takes up the responsibility of servant hearted discipleship. Excellent review! I very much appreciated your thoughts on the book. And while I don’t agree across the board, I think you’ve raised some crucial points well worthy of consideration. If I can ask, do you think some of your discomfort with “One Way Love” and similar “grace-lit” would be offset were more of these books to include a chapter on Scripture? That is, if in addition to what they say about grace (which I generally tend to agree with, even if I find some of the writers a bit irritating at times) they included something about the sufficiency of Scripture and its role in our lives in terms of grace, would their message come across as more balanced and less, well, whatever it is that makes you uncomfortable? Again, excellent review, I just wondered while reading how many of your objections could be easily handled on the part of folks like Tullian if they spent some time reflecting on the role of the Bible in Christian life. Coyle, thanks for this….I think these books would be enormously improved if they started and ended with scripture. Tullians book is in many ways good but it is really the whole genre I was writing about and this ridiculous attempt to try and out ‘radicalise’ one another in terms of the language of grace. I appreciated your comments and the spirit with which you wrote, and, sadly, I must agree with you. Speaking as an American, American evangelicalism is mostly a mile wide and an inch deep, without a robust understanding of the gospel or the fullness of its manifestation in the Christian life. Personally, I think the term radical is worn out, over-used, and, in fact, misused and misapplied. The Christian life is radical…a radical departure from the life we used to live, the way we used to be, the habits and appetites we used to have, and the way we used to think. The whole of the Christian life is radical, because we have been set apart from sin unto God. The living out of a truly Christian life is radical in and of itself, we don’t have to make it radical. But because of the shallowness of evangelicals, and the tare-ridden condition of the churches, there is a misconception of what a true Christian is…so the call to be radical has become a new mantra. So books like Inexhaustible Grace abound, making radical what should be normal in the Christian life. Thanks for this ‘official’ reply. I have read your comments with great interest. I think the one that stuns me is this one: “It is therefore right to say Jesus makes demands, but this is not the same thing as saying grace makes demands. ” This attempt to remove the identity of Jesus with grace is a classic example of what I warned about in the review, trying to be cleverer than the Bible. It is Jesus who is full of grace and truth. It is Jesus who is the grace of God. To remove Christ from the understanding of grace is both bizarre and dangerous. I was also interested in the use of Derrida as a source of wisdom….to my mind it speaks volumes about how the post-modern use of language and logic is beginning to infect evangelicalism. Thanks David for your really helpful critique. I have had a similar uncomfortable feeling about the way grace is spoken about in some circles here in Australia too. This issue of separating ‘grace’ from God himself is very unhelpful; Biblically speaking, grace is a term used, in its narrow sense, to describe the way that God acts towards sinners in order to redeem; it doesn’t describe a ‘thing’, but the action and attitude of a person. Perhaps our issue today is with understanding what the grace of God actually is (how many times do you actually hear people biblically defining what grace means? ), and does, i.e. the fruit of grace, and true hearing of the word of grace, manifests itself in love, righteousness, sanctification, putting to death, obedience, faith and such like. God in His grace sets you free from sin, and makes you a slave of righteousness; grace unites you to Christ, fills you with the Spirit, so therefore your life is not your own to do with as you will any longer (this is all Gospel Mystery of Sanctification stuff – and perhaps the substance of writings by the likes of Walter Marshall needs to be heard again in our churches). Nobody who truly understands this can possibly argue for lawlessness issuing from grace – this is an impossibility; rather, the opposite is the effect, and therefore the antidote to lawlessness is a true hearing of the grace of God in Christ. It’s this relationship between grace and obedience/sanctifiaction/love that I think is really fuzzy for so many believers. I also find Luther’s interpretation of Law and Gospel problematic from a certain perspective, and I sometimes wonder if this stands behind discomfort with some of Tullian’s ways of speaking; I think Luther’s approach applies best when related to categories of justification, condemnation etc. This also links to arguments about how we are to define ‘gospel’ – whether we should include sin, judgement, law in our ‘good news’, and whether the ‘gospel’ applies to the whole of Christian faith and life, not just the category of justification. There is (in a certain sense) grace in law, and grace when truly understood, evokes a love of God’s law (Ps 1, 19, 119), especially if you understand law as Alec Motyer’s ‘preceptual image of God’. To love God is to love His law, as the psalmists say, but only sinners whose consciences have been cleansed by the grace of God in Jesus Christ can see this – we can’t understand the law this way in our guilt. I recently ran across this song, a new song, that is an example of what David was talking about in his last comment. This is typical of the music and teaching that is going on in the church. No understanding and therefore misapplication of basic doctrines. And no, we won’t be singing this at our Church. Excellent. Enshrines my concerns exactly. Though I browsed through the review here, I like the parts that I read. One of the key differences between the views of Tchividjian and Robertson is that of their analysis of the audience. Tchividjian has reduced the audience’s dilemmas in life to “performancism,” a term he uses in a post on his blog at the Gospel Coalition website, and thus Tchividjian’s reductive emphasis on grace becomes marketed as the magic bullet. The problem, however, is in the reductionism used to say people’s only problem is performance and this reduces how we view grace to that which saves us from performancism. The problem is Tchividjian’s use of reductionism that is always a danger when we summarize. The question we must ask is this, would Jesus say what he did about bearing one’s cross and would the apostles write what they did about the Christian life if they used Tchividjian’s analysis of people’s problem with performancism and his whittled view of grace? And we can’t see how they would, then why should we follow suit especially while living in the consumer culture that we do? Although much of what you have said is correct for a particular and popular brand of Christianity, it doesn’t actually fit the book in question. I think you need a much deeper understanding of the distinction between Law and Gospel and the ways in which the two are often mixed improperly before you could actually do an adequate job of reviewing this book. As in Jesus’ time, grace was radical when compared to Judaism, and could only be appreciated by certain groups of people. You know which group you belong to. Just wondering if that was a gracious comment? The most interesting thing that I have observed in my interactions with people who seem to be enamored with Tchividijian and his Law/Gospel hermeneutic, has been the number of times I have been called a “legalist,” “pharisee,” or “romanist.” These terms seem to serve as substitutes for any Biblical argument. It is odd on the one hand, because it is not very gracious. On the other hand, it is odd because it is roughly equivalent to the addiction industry’s understanding of “denial.” If a person refuses to self-identify as an alcoholic, that is taken as proof that he is indeed an alcoholic who is in denial. The more vigorously he argues with the categorization, the more he condemns himself. As a result, he is damned either way. If he accepts the diagnosis, he is an alcoholic; if he rejects the diagnosis then he is an alcoholic suffering from denial. Lose lose. In a similar way, this group seems to think that everyone is fundamentally a legalist at heart. If you protest the diagnosis, or argue with their position in any way, you damn yourself. If you criticize us, it is because you don’t understand the gospel, or grace, or your a pharisee, or a legalist, because only those types of people would disagree with us. It’s all quite circular. It has a great ring to it and, like apple pie, we would all vote for it. I also assume ‘predicated’ here could be replaced by ‘provided’. But the question is…if someone IS born again, then (i) what sort of obedience do we expect to see, (ii) what do we conclude if we do not see it (iii) what do we say to that person about it? I live just two miles from Coral Ridge and tried very hard to desire this church and become a member but found I could not bear having to listen to the Santa Clause gospel that is preached here and especially the, well let’s just call it, blather that Steve Brown spews.